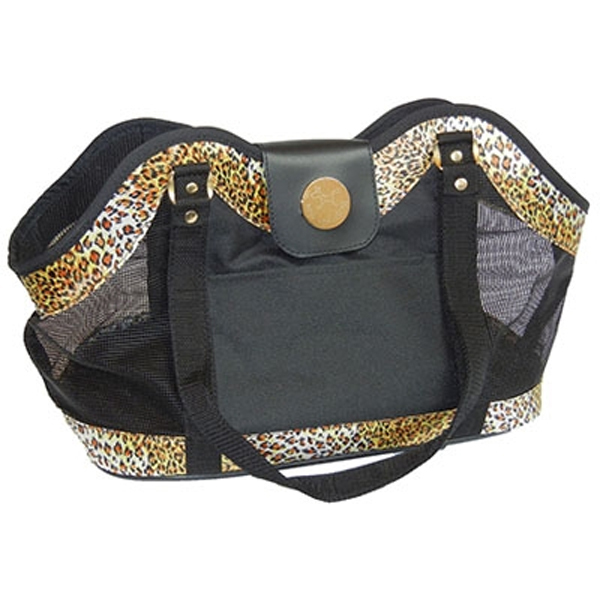 People will stop you in your tracks when they see this amazing NY Dog Leopard Print Open Pet Tote! Dazzling dogs will love to pop their heads out of this designer carrier! The NY Dog Leopard Print Open Pet Tote has mesh windows so your dog can see even when lying in the carrier. • Carrier measures 16.5" x 9.45" x 13"